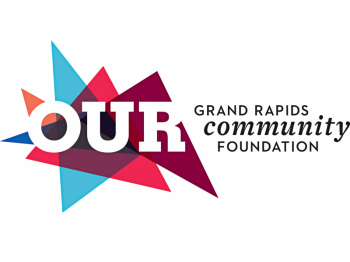 Through a partnership between the City of Grand Rapids and Heart of West Michigan United Way, community members can now earn points redeemable for rewards at local businesses for participating in projects and events that benefit the greater good of the city. United Way's Volunteer Center has offered a free online volunteer matching system for Kent County for 10 years. This month, we celebrate the one-year anniversary of the launch of our new system, HandsOn Connect, which provides leading edge volunteer recuiting and management tools. New nonprofit organizations are always welcome to register volunteer projects and events on HandsOn Connect. On Tuesday, the City of Grand Rapids launched the second phase of the mygrcitypoints.com program in partnership with Heart of West Michigan United Way's Volunteer Center. 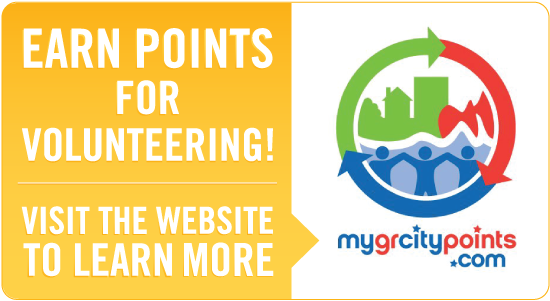 Now, both City and non-City residents can earn points for volunteering for projects and events that benefit the greater good of the city. Accumulated points can be redeemed for rewards from local businesses. The Volunteer Center is providing the central online resource -- our HandsOn Connect service -- where volunteers can find and sign-up for points-eligible projects and events. You can learn more about this exciting program at mygrcitypoints.com.